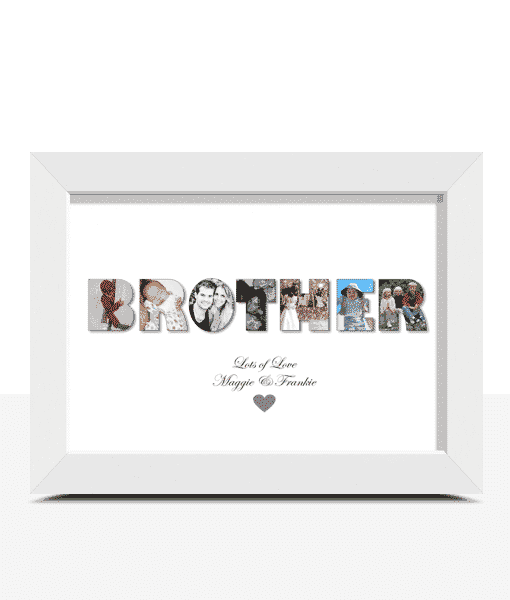 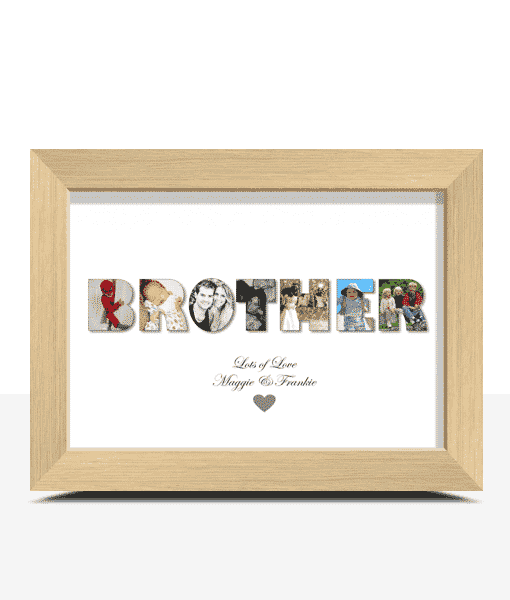 Add your own photos & text to personalise this ‘BROTHER’ photo print to make a very special & unique gift. 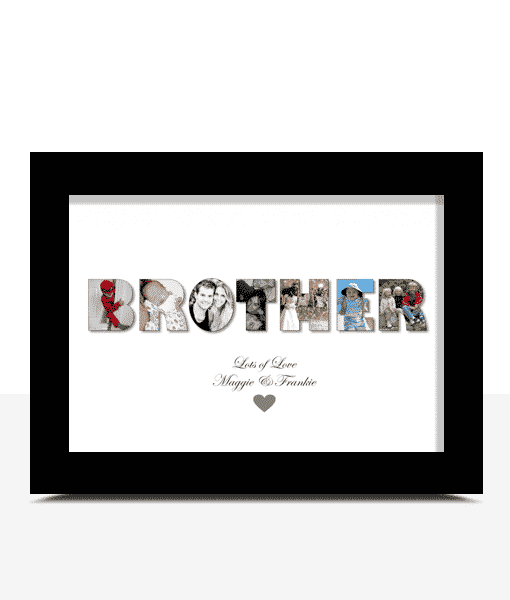 Someone from Huddersfield & 3 others recently bought this item. 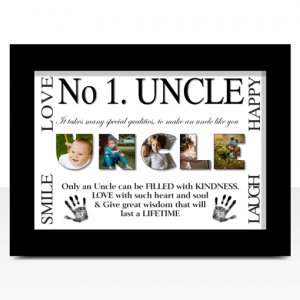 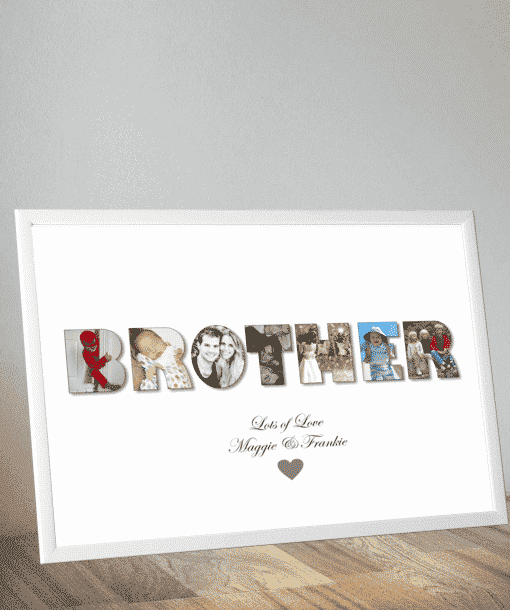 This personalised ‘BROTHER’ photo print makes a very special & unique gift. 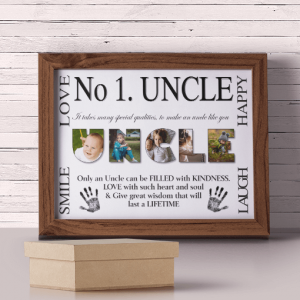 Any text can be added. Add 7 photos to create the word BROTHER *.